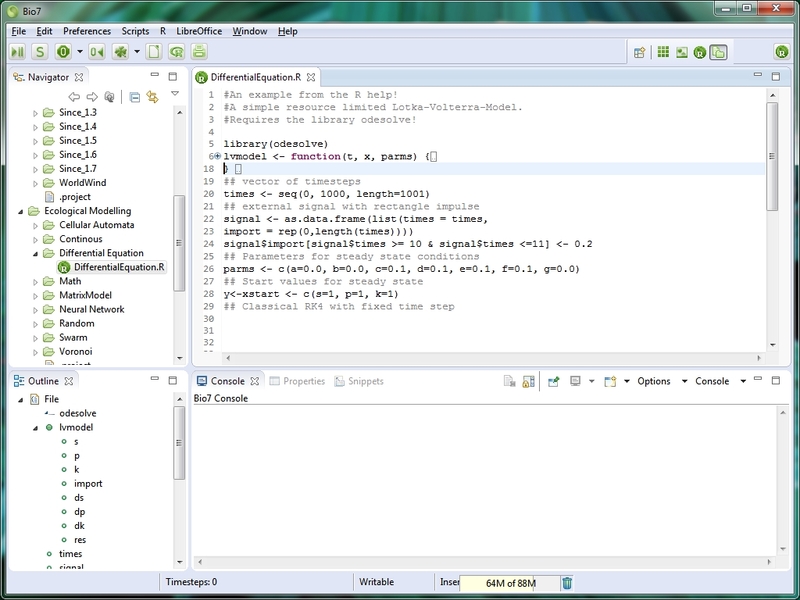 For the next release of Bio7 based on Eclipse 4.4 an improvement of the R editor for a much better editing experience of R scripts will be available. 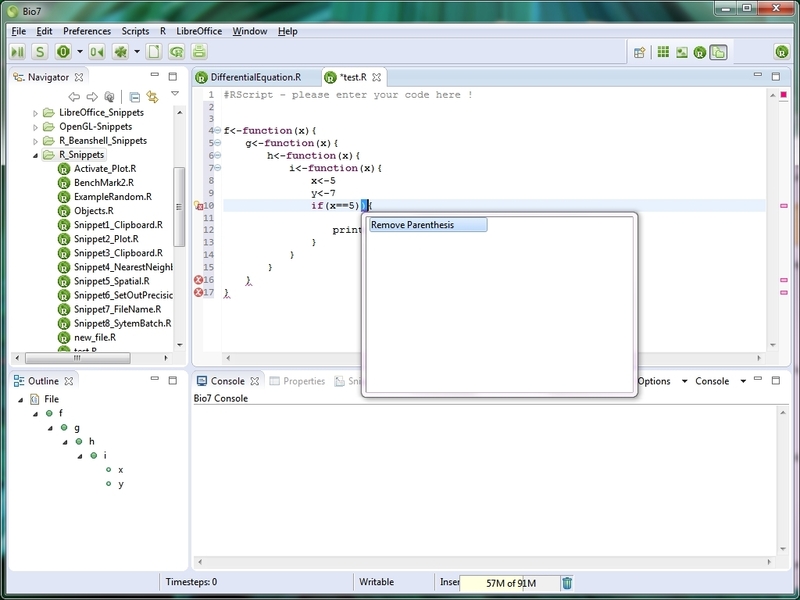 The integrated editor itself is built bottom-up (based upon an Eclipse editor editor template) although there a great editor frameworks (DLTK) or frameworks to develop programming languages and domain specific languages (Xtext) for Eclipse available. I decided to built the editor this way to avoid dependencies with Eclipse plugins adding unnecessary interfaces and complexities in a Rich Client Platform and because i wanted to understand the internals of the editor for manageable improvements of upcoming releases. Until now i integrated a parser for R based on ANTLR, implemented error marking, code folding, a first simple version of “Quick Fixes” and an outline view for the R scripts. Beside other improvements coming from Eclipse (e.g. split editor capabilities) for the next release of Bio7 i hope that this new functionality will ease the development of R scripts inside of Bio7.